Who doesn’t like a comfortable and convenient accommodation during a trip? You can definitely find that and more at the Bed and Breakfast by Budgetel in Cagayan de Oro City, Philippines! 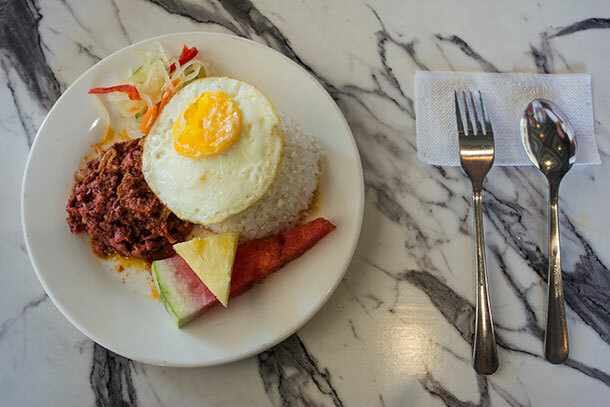 Our recent trip to Cagayan de Oro (CDO) did not only include a full-packed itinerary. We were also kind of ‘hotel-hopping’ and tried out a few hotels during our stay. 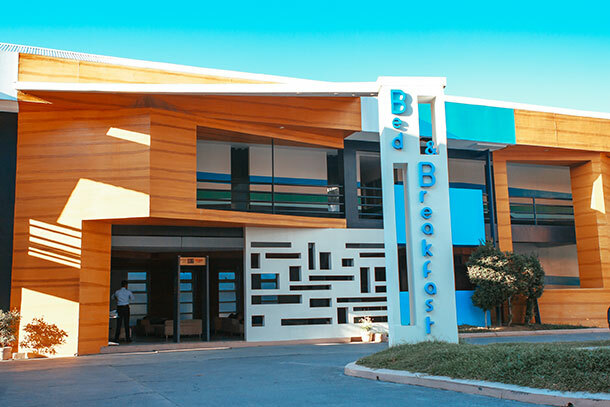 One of the hotels where we stayed in was the Bed and Breakfast by Budgetel at the Lifestyle District. 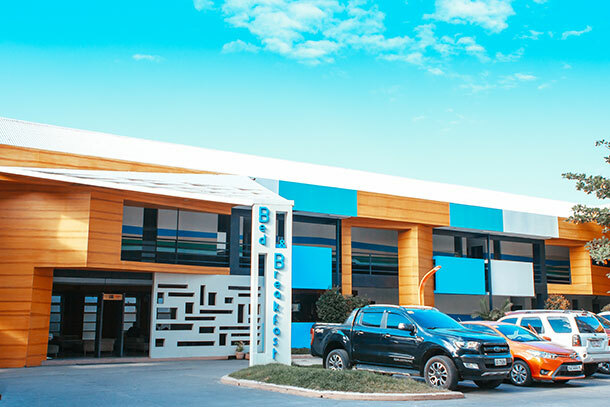 It’s a budget-friendly accommodation that is within Cagayan de Oro’s premier district. The hotel is quite near several commercial establishments including a 24/4 Convenience Store and giant shopping malls. If you are into nightlife, this is definitely a place to stay in because of its close proximity to the night scene of the city. There are local bands playing at night while locals chill out for some great food and good music. If you are into quiet nights, however, then I recommend requesting a room that is not facing the open area at the center. The bands usually play here so you’ll be able to hear them all throughout the night. Our room was located facing the parking lot at the back so we did not hear the band playing. 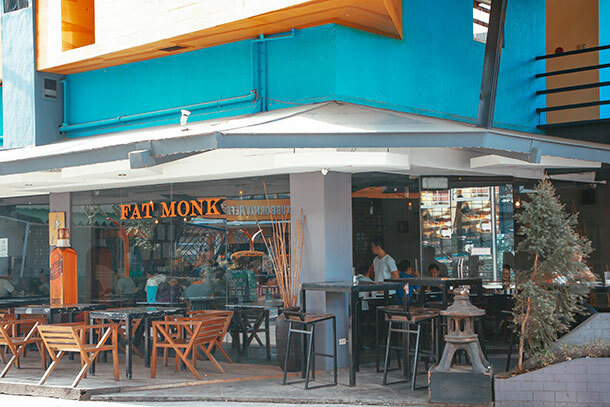 Aside from the lively nightlife scene, there are several coffee shops and restaurants located here. Including a spa and massage on the second floor. We dined at the 31st Bistro for our Valentines dinner and they served some pretty delicious Back Ribs. If you want something less fancy, there are small food stalls near the entrance of the District. We had our lunch here on the first day and were quietly satisfied with the servings and the taste. Otherwise, simply head over to the malls a few meters away for more variety and add some window shopping while there. Reservations can be done through their Facebook Page and payment can be made at the hotel. Just like we did. As mentioned above, the hotel is located in the Lifestyle District of CDO. If you are already within the city, simply take the tricycle for the Lifestyle District. There is a fixed rate for the minimum fare, depending on the gasoline prices. Personally, I find it very convenient for passengers as they don’t have to ask how much the fare is. But, you have to be aware of the gasoline prices, however. The list of fare is usually placed at the back of the driver and can be noticed easily. It’s arranged as a matrix so it can be understood immediately. When we visited, the fare was at 7 Php per head. 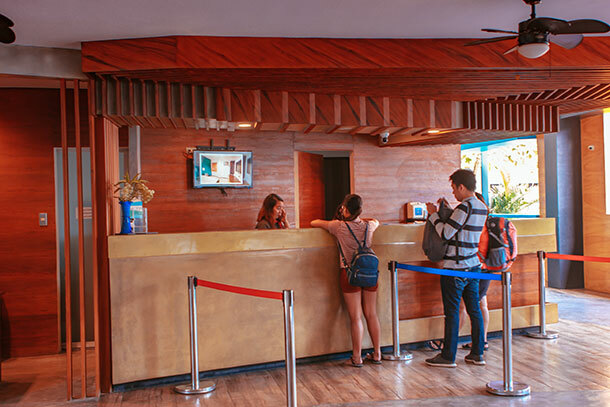 The budget hotel is also located near to the Centrio Mall and Gaisano so you can easily mention this to the driver once you hire a tricycle to take you. If you are just landing in from the Laguindingan Airport, take the van going to CDO. There are several van operators who are looking for passengers fronting the Arrival Area. Checking-In at the hotel took time for us. There was a queue when we arrived and we’re not immediately entertained. We arrived after the check-in time which was 2 PM. By 3 PM we were able to leave our things inside the room. We were pretty hungry at that time as we forgot to grab some lunch before heading to the hotel. We booked a total of 2 rooms during the duration of our stay: a Standard Double (or Matrimonial) and a Standard Twin. Both rooms were at 1,250 Php per night. We had to add an extra mattress (at 350 Php) for our friend who arrived on the second day of our trip. Breakfast was included in the fee and was served at the ‘Fat Monk’. It is a restaurant located on the ground floor of the complex. The breakfast served were plated and I was personally glad that they served different menus on the 2 days of our stay. Aside from the viand and the rice, fruits are also included plus coffee or hot choco. 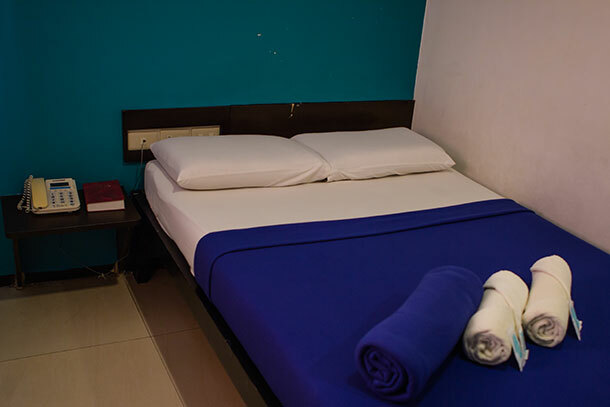 The room was also equipped with the basic amenities you’ll need for a comfortable stay. This includes cable television, air-conditioned unit, shower and a cabinet for our things. For groups of 4 or more, they have Family Rooms available too as well as Dorm Rooms. 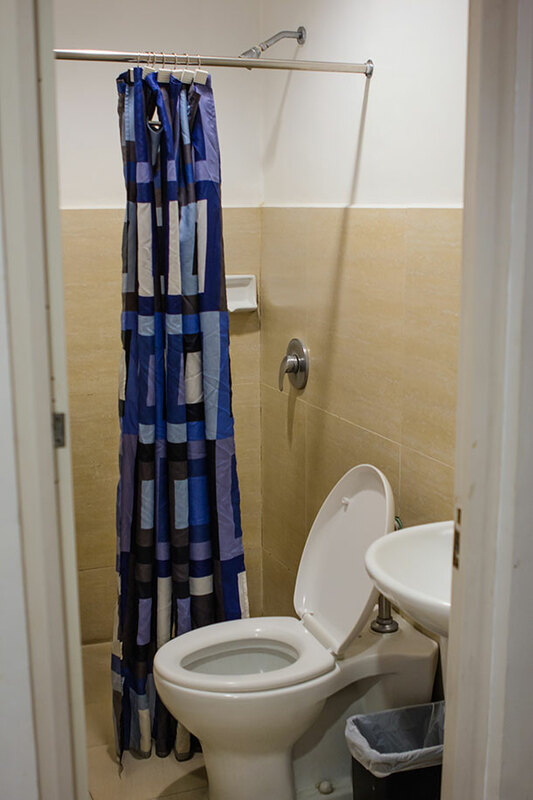 The Dorm Rooms can accommodate up to 18 persons with a communal bathroom. Breakfast isn’t included though. But as I’ve mentioned above, there are several dining options outside the District. If you are alone and want a more budget-friendly option, they accept Walk-Ins for Dorm Room. Availability is of course not assured. The rooms are separated by gender: All Male and All Female. Our friend assisted with checking out and so far we had no problem encountered the entire time. 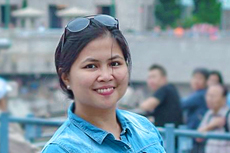 Overall, I must say that we had a comfortable and enjoyable stay at the Bed and Breakfast by Budgetel. The area was mostly packed at night with tourists and locals grabbing a drink, eating food and socializing. We did spend Valentines Day here. Listening to music, drinking, and eating while generally, just people watching. Admittedly, the region was under Martial Law when we visited. Military forces were visible almost anywhere, particularly at night in this part of the city with crowds of people flocking in and looking for a good time. Security was tight but we did not feel threatened or violated at all. It actually added a sense of safety above all. We were always asked to open our bags for them to inspect. People who were wearing caps and bonnets were asked to take them off and leave them at the guard too. Generally, I’d recommend a stay in the area especially if you want to check out the nightlife scene of CDO or if you appreciate good food. 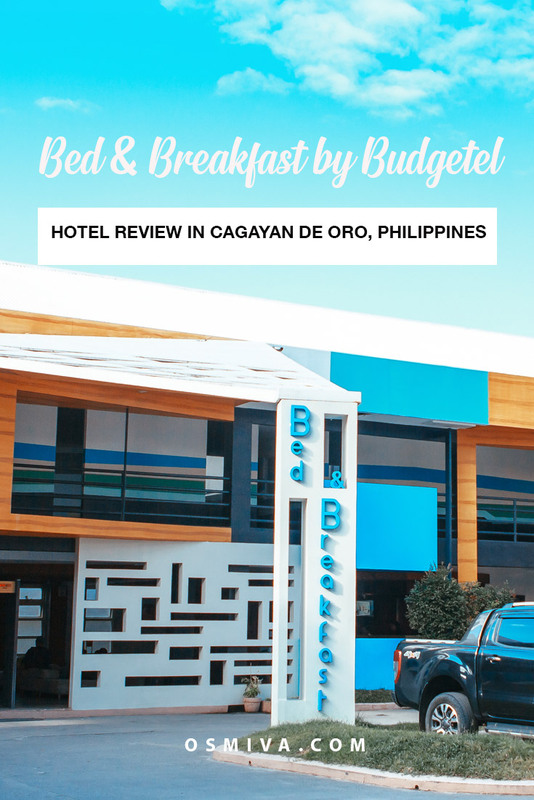 Have you stayed at this budget hotel in Cagayan de Oro City? How was your experience? Do share it with us on the comments below! We’d love to hear from you! Nowadays, budget hotels are getting better ! You no longer need to settle for poor service, and dirty rooms for the low price you pay. The only thing I may find it challenging is to have proper soundproofing. Budget hotels are great when you just need a place to sleep and don’t really plan on doing much at the hotel. I love it when there is also a 24/7 convenience store nearby! Glad to hear you felt safe there. Sounds like a nice place to bunk and breakfast … though GREAT tip on ensuring one’s room does not face the square. I would go crazy if I had to listen to bands all night long…been there, done that, didn’t like it. 😉 Now we always check where rooms face and do a bit of research before booking. Budgetel looks comfortable and clean. An extra layer of security is always good so getting the bags checked is not a problem. The breakfast looks basic yet delicious. Great choice. Yes it was pretty excellent 🙂 Thanks Ketki! We’re not big fans of bed and breakfasts, but this one like really neat so we would consider staying there! Also, their breakfast looks really tasty! Thanks for this review!